Art+Tea (say: Art Plus Tea) is a podcast/photo-journal where we drink tea, eat desserts and talk about art with artists, arts organizers and other individuals impacting the art scene in northern New Mexico. Up against submissions of Augmented Reality, 3D printing and other innovations, this project may seem a bit pedestrian due to the lo-fi nature of the technology. But this submission speaks for the viewpoint of a small museum in a financially struggling community. I submit Art+Tea as an example for resource-poor museums: meeting museum goals using technology can be done with creative thinking and low cost tools. This image shows the front page of Debbie Long’s Art+Tea — all using a free WordPress account and an inexpensive theme. Viva DIY low-budget projects! The Harwood Museum of Art’s mission is to bring Taos arts to the world and world arts to Taos. 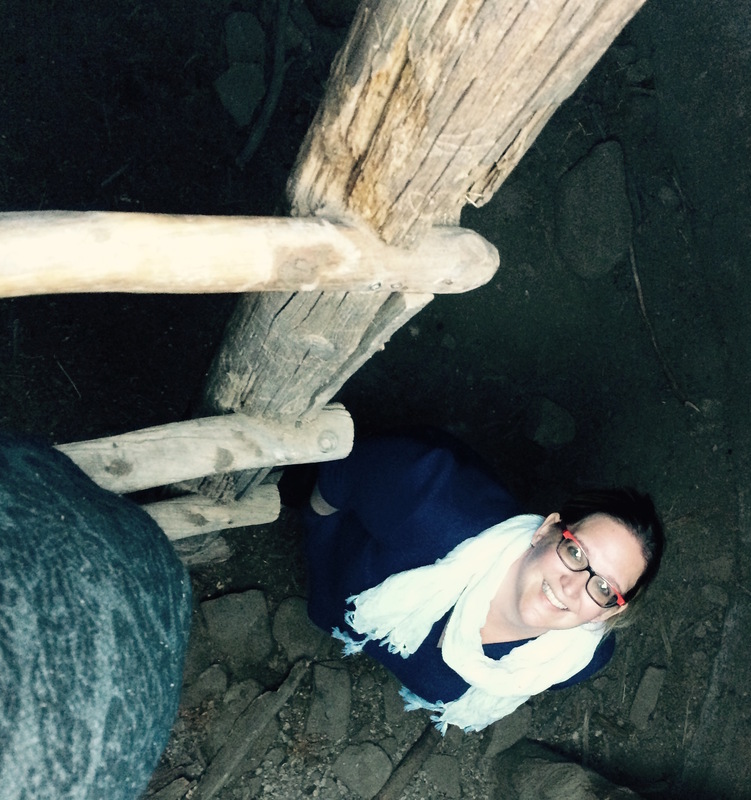 Taos is renown for its rich artistic history. Many artists continue to find inspiration in the lifestyle, culture and beauty of this remote mountain village. 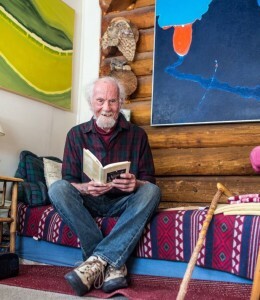 When I as a newcomer to Taos became Curator at the Harwood, long time resident David Costanza offered to introduce me to artists in the community. These informal conversations over tea inevitably left both of us inspired. We agreed that these moments were too good not to share with the world! 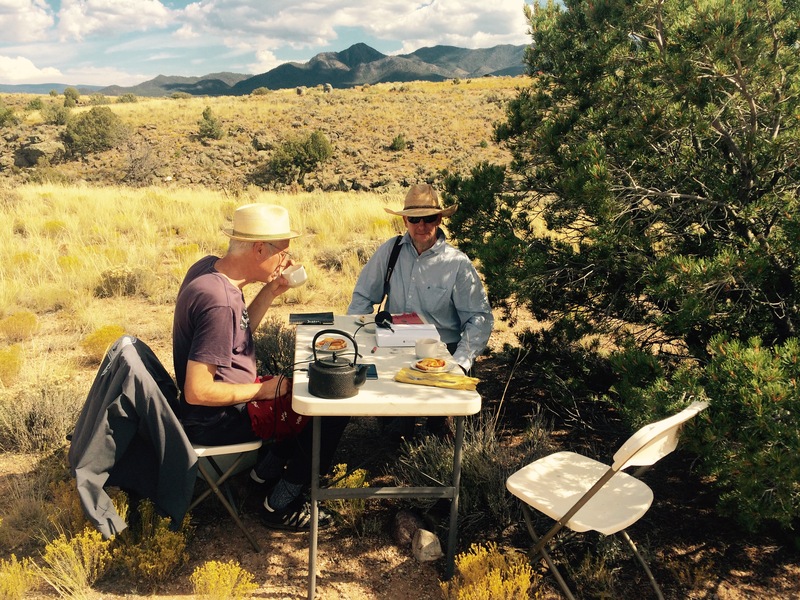 The idea for Art+Tea was born — sharing the stories of those who contribute to keeping art and artistic practice central to the southwest experience. 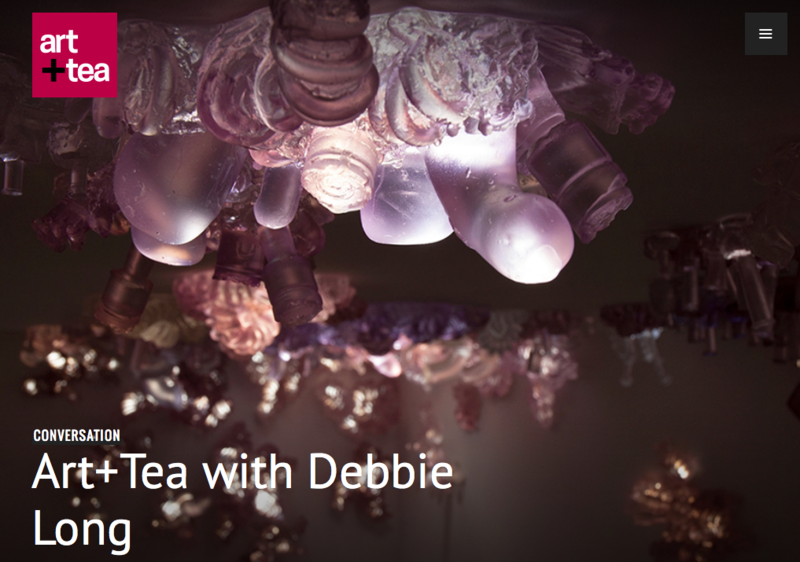 For the podcast, Art+Tea goes to the artist and engages her/him in an intimate conversation. Light and glass installation artist Debbie Long invited us into her Naima Trailer artwork, environmental artist/activist Scott Moore took us dump-side talking about the Beautiful Midden project, architectural historian and humanitarian Rachel Preston Prinz shared wisdom sitting on the earth in an ancient underground pit house and 88-year-old John De Puy told stories of abstract expressionism and of being a rascal with his best friend Edward Abbey. The photo-journal includes photos of the artist’s studio and artwork along with recipes from the tea party. Scott Moore’s Beautiful Midden project is an arts activism approach to fighting illegal dumping in this beautiful geologically significant countryside that provides water to southern New Mexico. Here, David and Scott prepare for the tea and conversation. The whole project is low budget and DIY – using a free WordPress account, a $100 microphone and $35/year podcast hosting account. The co-hosts do all of the web, audio and publishing work. David, also a pastry chef, creates a custom treat as an offering to the artists and locally based Tea-o-graphy donates an artisanal tea pairing. 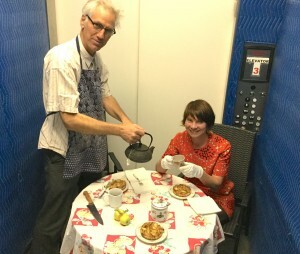 We hope that the tea and treat set the tone for a casual and intimate conversation – as opposed to a more formal interview format. The project augments the Harwood Museum’s program by providing the opportunities to build relationships with the artistic community, by sharing art beyond what is generally hung on the museum walls (i.e. art activism, outdoor installation, etc. ), and by providing a new fresh look at contemporary art of the southwest. John De Puy started his Art+Tea conversation by reading a poem written about him from his best friend and environmental activist Edward Abbey. So, I hope you don’t laugh this entry off. It’s important for small museums to try things and become inspired that indeed we can augment our missions and get the community engaged with lo-fi, low budget projects. Art+Tea has been well received with articles in the Taos News and in Live Taos. Rachel Preston Prinz awaiting her Art+Tea interview from within an ancient underground pit-house.